"As an orphan child who was raised with his brother-like orphan friend Said by their neighbor Husrev; Mehmet has no other dream than joining this troop ruled by Suleyman Askeri Bey who only enlists the most talented applicants. Although he passes all the exams to be elected for this special troop, Mehmet gets into an armed fight with a couple of agents in Istanbul and he gets shot by his foot and löse out on enlisting. This makes Mehmet even more eager for joining the troop. Mehmet gets on the train which takes the troop to Iraq secretly. Leaving Istanbul behind, Mehmet will continue his journey through the broiling desert sands which eventually will turn him into a hero. And Mehmet’s romantic story with Zeynep will constitute a legendary desert love. 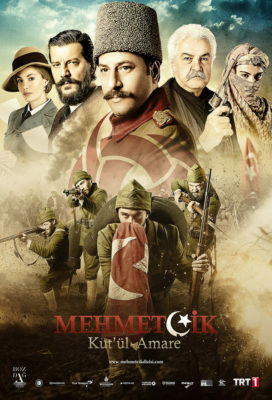 Mehmetcik is based on the epic story of Mehmet and his friends who would give everything they have to save their country. " I wish i knew turkish. WLEXT TEAM>>>> As we are regularly watching many series for free on ur site..
kindly update us if this series will continue to be translated or not ? Still waiting for Ep 2 for a very long time.. Episode 2.. is there any person who will translate it let us know..?